WOW!!! 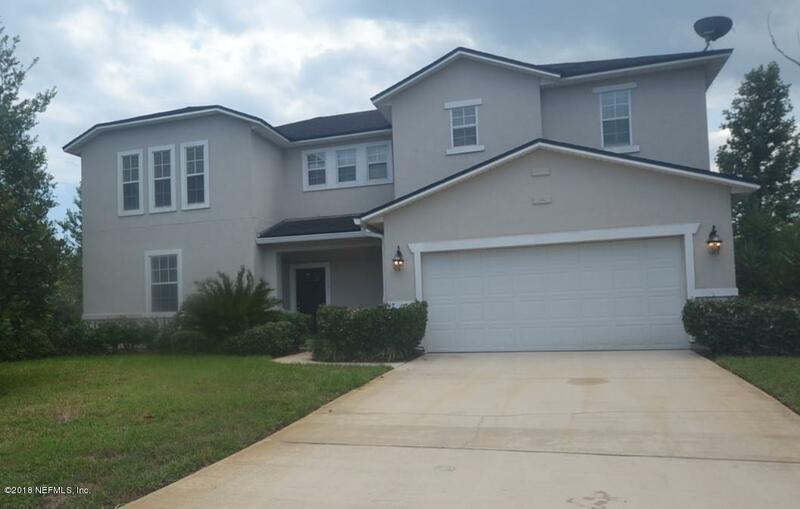 MOVE IN READY, HUGE 3663SF 4/3 Ponte Vedra home without the Ponte Vedra PRICE!!! Enjoy top rated Valley Ridge / NEASE Schools! Open floor plan with large formal living room and dining/study. Open family room adjacent to the formal dining area and huge kitchen. Plenty of cabinets and counter top space! Large bonus room upstairs and over-sized master suite with elegant tray ceiling and double vanities, roman tub and separate shower in ensuite bath. Spacious walk-in closet. Large secondary bedrooms all with ceiling fans already installed. Large covered lanai and a fully fenced-in backyard with lake views! A LOT of Home for the money, this one is priced $50,000.00 below Zillow Est. Value! HURRY, because this one WILL NOT LAST!